The tech blog TechCrunch reported late Tuesday that Facebook paid people about $20 a month to use the Facebook Research app. While Facebook says this was done with permission, the company has a history of defining "permission" loosely and obscuring what data it collects. And it comes less than a week after court documents revealed that Facebook allowed children to rack up huge bills on digital games and that it rejected recommendations for addressing it for fear of hurting revenue growth. Facebook is still permitted to distribute apps through Apple's app store, though such apps are reviewed by Apple ahead of time. And Apple's move Wednesday restricts Facebook's ability to test those apps—including core apps such as Facebook and Instagram—before they are released through the app store. Facebook previously pulled an app called Onavo Protect from Apple's app store because of its stricter requirements. But Strafach, who dismantled the Facebook Research app on TechCrunch's behalf, told The Associated Press that it was mostly Onavo repackaged and rebranded, as the two apps shared about 98 percent of their code. He said such traffic-capturing tools are only supposed to be for trusted partners to use internally. 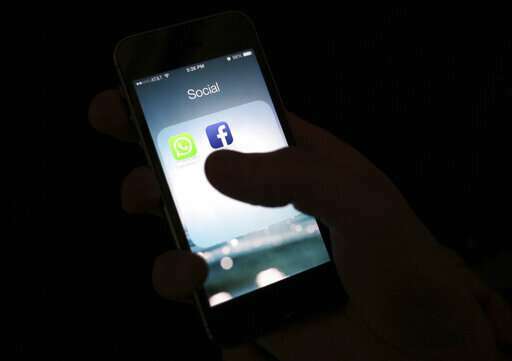 Instead, he said Facebook was scooping up all incoming and outgoing data traffic from unwitting members of the public—in an app geared toward teenagers.